To acquire, retain and conserve water resources within the Lower Arkansas River. To encourage the use of such water for the socio-economic benefit of the District citizens. To participate in water-related projects that will embody thoughtful conservation, responsible growth, and beneficial water usage within the Lower Arkansas Valley, including the acceptance of conservation easements, with or without water. 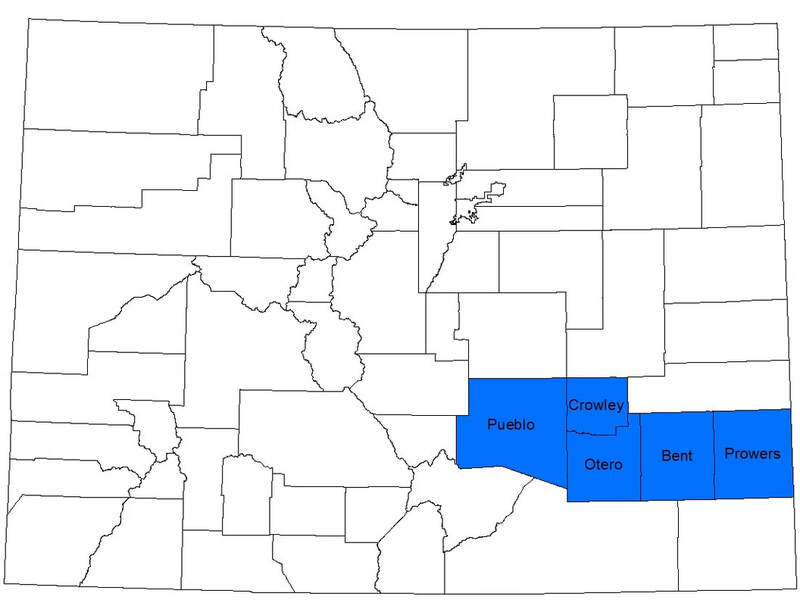 November Election 2002: 64% of the voters in Pueblo, Otero, Crowley, Bent, and Prowers County approved an initiative to form the Lower Arkansas Valley Water Conservancy District (LAVWCD). The seven members that make up the Board of Directors were appointed in December 2002 to initially serve one-year terms. Based on population, each county has one seat on the Board with Pueblo County holding three total seats. "Cover crops is an off-season crop used to maintain the soil integrity to prevent erosion from wind and rain. Cover crops are also used to increase organic material in the soil to help with water retention during growing seasons.” This is a practice that is under-utilized and usually used for the purpose of erosion control, however Lower Ark is looking into using this method as a water quality agent.